A THREE-year-old filly named Princess Lili B broke down just past the finish line at California's Santa Anita racetrack after an 800m workout on Thursday. Both her ankles were broken. She was euthanised and became the 22nd horse to die at the historic track since Boxing Day. For an industry facing increased pressure from the public and animal groups, this is a bloodbath. 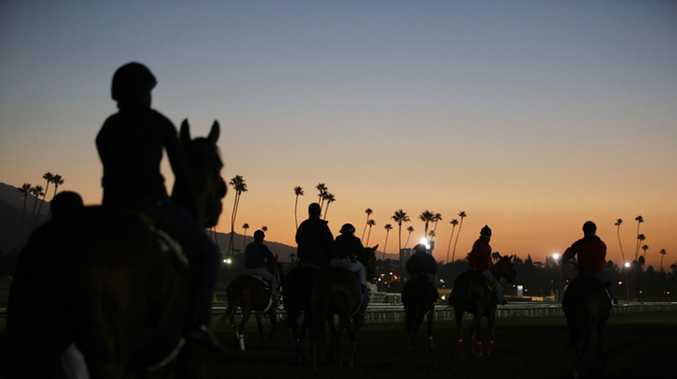 Belinda Stronach, chairperson and president of The Stronach Group, which owns Santa Anita and Golden Gate Fields in Northern California, responded by issuing an open letter on the future of thoroughbred racing in California. "We're just perplexed by what has happened, and devastated," Tim Ritvo, chief operating officer for Santa Anita's owners told Fox 11 television after the fatality. "We have complete confidence in the track, with the greatest track crew in America, and it's just a devastating time for all of us. The rider said the filly felt fine, and then all of a sudden, just went bad." Trainer and owner David Bernstein said the three-year-old took a step as she changed leads, which led to her breaking her left ankle and then her right ankle. A lead change refers to which set of legs, left or right, leads or advances forward when a horse is galloping. The fatality is another hammer blow to Santa Anita, the famed course outside Los Angeles which will host the prestigious Breeders Cup international meeting in November. The latest injury occurred during a training run. Racing at Santa Anita has been suspended indefinitely since March 5. Officials had been targeting a reopening of the track on March 22 following an investigation into the surface by safety experts last week. Track safety experts have studied the course at Santa Anita but have so far been unable to pinpoint the reasons for the upsurge in deaths. 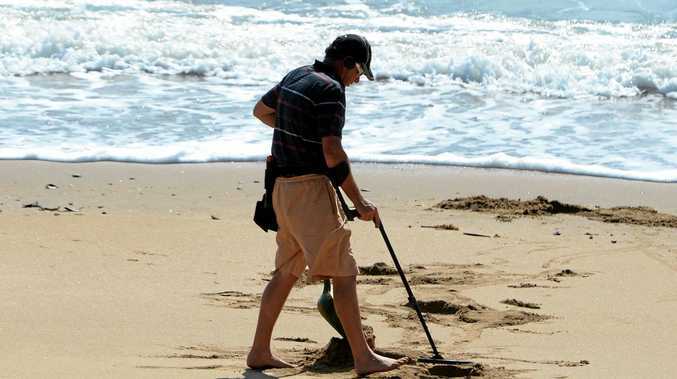 Some have blamed it on the torrential rain that has deluged Southern California in recent months. Between December 2017 and February 2018, 10 horses died at the track, compared with eight in 2016-17 and 14 in 2015-16. The track has averaged about 50 fatalities per year from 2008-18, according to data from the California Horse Racing Board. The Stronach Group said they would introduce a policy of zero tolerance of horses being administered medication on race day, both at Santa Anita and Golden Gate Fields in Northern California. "We have arrived at a watershed moment," Belinda Stronach said in a statement. "The Stronach Group has long been a strong advocate for the abolishment of race-day medication, but we will wait no longer for the industry to come together as one to institute these changes. "Nor will we wait for the legislation required to undertake this paradigm shift. We are taking a stand and fully recognise just how disruptive this might be." Animal rights campaigners, however, said horse racing should extend the ban on medications. "Santa Anita's new procedures acknowledge that the deaths were never just about the rain and a bad track," said Kathy Guillermo of People for the Ethical Treatment of Animals (PETA). "They're a step in the right direction - but they don't go far enough," Guillermo said, adding that more detailed records of horses' past races and workout times should be available to see if they are "being medicated to mask injuries." "The entire racing industry must own up to the bloodbath on racetracks across the country," Guillermos said. "Medications must be banned entirely in the week before a race, beating horses with a whip to push them ever harder must stop, and racing injured horses just to give bettors options to put money on must be prohibited. These animals aren't machines to be driven mercilessly." The California Horse Racing Board said in a statement it continued to monitor the situation and noted the crisis would be discussed at a meeting on March 21.